In our continuous efforts to “connect the fun to the fun people”, we present our annual New Year’s Eve 2017 in NYC listings. From the swankiest lounges to neighborhood joints, and everything in between, there is something for everybody. Bowlmore Lanes: 222 W. 44th St. (between Seventh & Eighth Ave.) New York, NY. Brother Jimmy’s: 181 Lexington Ave. (31st St.) New York, NY. featuring 3-hour open bar for $60: beer, wine, sangria y margaritas. Nomo SoHo Hotel: 9 Crosby St. (between Grand St. & Howard St.) New York, NY. Off the Wagon: 109 MacDougal St. (between W. 3rd & Bleecker St.) New York, NY. Tir na nOg: 315 W. 39th St. (between 8th & 9th Ave.) New York, NY (212) 760-0072. 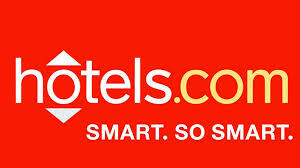 Find the Best New York Hotel Deals!